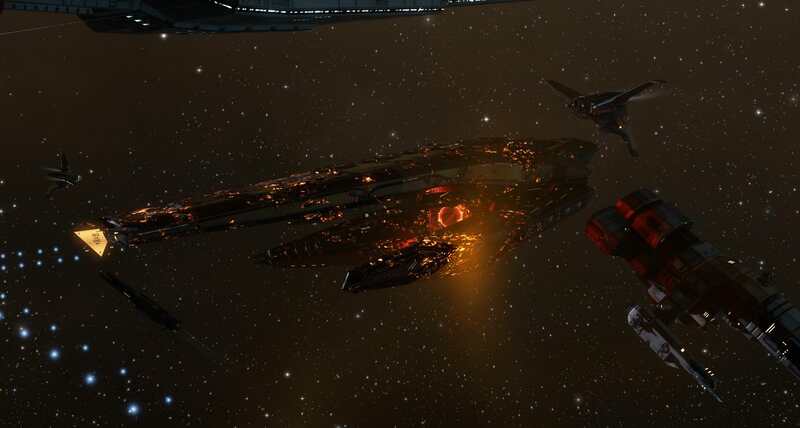 A Singularity Bearing Cruiser was spotted in Yulai, days before an important capsuleer meeting. Piloted by DED operative Oveg Drust, it is barely holding up in one piece and is surrounded by Blacktroop SWAT ships. I’m impressed, I must say. Seldom do I encounter a blog that’s both educative and entertaining, and let me tell you, you’ve hit the nail on the head. The problem is something which too few folks are speaking intelligently about. Now i’m very happy that I came across this during my hunt for something relating to this. I do consider all the concepts you have presented on your post. They are really convincing and can certainly work. Nonetheless, the posts are very quick for newbies. Could you please extend them a little from next time? Thank you for the post. A lot of of whatever you assert happens to be astonishingly appropriate and that makes me ponder the reason why I hadn’t looked at this in this light previously. This article truly did switch the light on for me personally as far as this topic goes. Nevertheless at this time there is actually just one point I am not really too comfy with and whilst I try to reconcile that with the core theme of your point, allow me see exactly what all the rest of your readers have to point out.Well done. Hey there! Someone in my Myspace group shared this site with us so I came to give it a look. I’m definitely enjoying the information. I’m book-marking and will be tweeting this to my followers! Outstanding blog and amazing style and design. Thank you for another great article. Where else could anybody get that kind of info in such an ideal way of writing? I’ve a presentation next week, and I am on the look for such info.